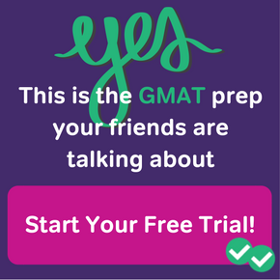 Yesterday, I promised that we’d tackle the question, “When does it make sense to set aside GMAT prep and focus on other parts of your application?” I got a little carried away, so I’m going to spread the answer out over a few days. These posts take us a little out of our area of expertise (we’re test experts, not admissions consultants) but they provide general answers to questions we hear quite a lot. For answers specific to your applications, you might turn to the admissions staff at your target schools, to their representatives at admissions fairs, or to an admissions consultant. 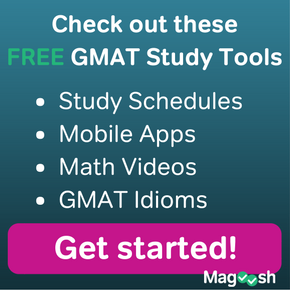 When does it make sense to set aside GMAT prep and focus on other parts of your application? One standard answer is that once you’ve reached some apparently arbitrary score you can safely move on. I say “apparently arbitrary” because the magic score varies a little (it’s usually given as 700 for applicants to the most competitive programs, but I’ve also seen 680 and 690 cited), and because it rarely explained. 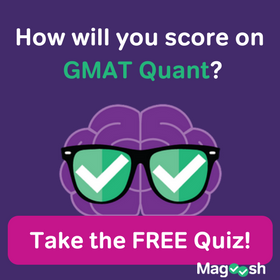 If you rank MBA programs just on the basis of competitiveness, accepted applicants at the top two U.S. MBA programs have median GMAT scores of about 730, and accepted applicants at programs at the edge of the top-ten have median GMAT scores of about 700. It’s hard to be precise, since median scores so high are a new phenomenon, but a school with a median GMAT score of 730 would likely have a first-decile score in the mid- to high-600s and a first quartile score of about 700 (I don’t know of a source for this year’s numbers, so these values are extrapolated from historic self-reporting by institutions). So one way to look at the magic-number answer is that a score of 700 is at the average for some top-ten schools and still in the fat part of the curve for even the most competitive. One trouble with the magic-score answer, though, is its generality. I’ve done booth duty at a number of MBA fairs, and so have had a chance to talk to representatives from a number of top programs and a number of admissions consulting firms. Every one had stories about the applicant with an 800 score who couldn’t get in anywhere (though my hunch is that “anywhere” just meant any very competitive school) and the applicant with a score lower than 550 who was admitted to multiple top schools. (That’s not where the smart money is though. As The Economist noted about these applicants, “every year a handful of exceptional students might be admitted with sub-standard scores. But they are exceptional in both senses of the world.” You can check out this Poets & Quants post for a slightly more sanguine view.